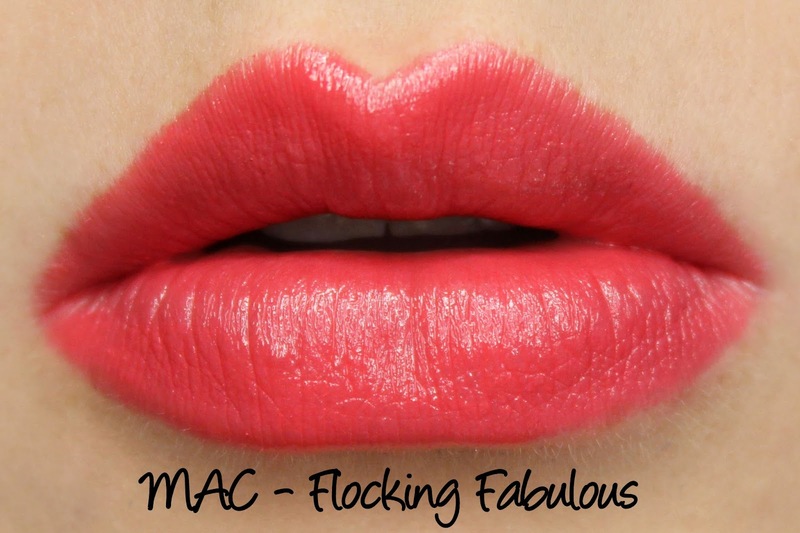 MAC's latest collection, Flamingo Park, will have pink lovers making heart eyed emoji at the counter displays. Whether you prefer your pinks warm or cool, coral or peach tinged, pastel or neon, there is definitely a shade of pink to suit everyone here. This collection launched at MAC counters nationwide on the 7th of March and it is limited edition, so you'll want to zip in quickly to pick up anything on your wishlist! There's a plethora of goodies to pick from, including eyeshadow, pigments, Beauty Powders, lipstick, nail lacquer, Cremesheen Glasses, blush, lip pencils and eyeliner. I have a small selection of the range to show you today and if you're interested, I'll pop up swatches of some of all of the repromoted pigments and a lip pencil up later. Let me know in the comments! There are a total of eight lipsticks (RRP $40NZD) in this collection, three of which are repromotes. 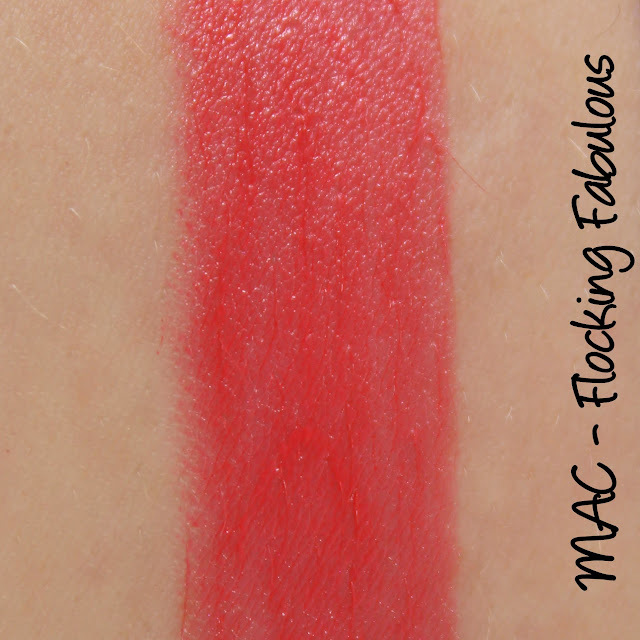 From the permanent range we have Saint Germain and Please Me, while Silly has featured in two prior collections (Fashion Sets 2013 and MAC is Beauty). I reviewed Silly here and Please Me here. 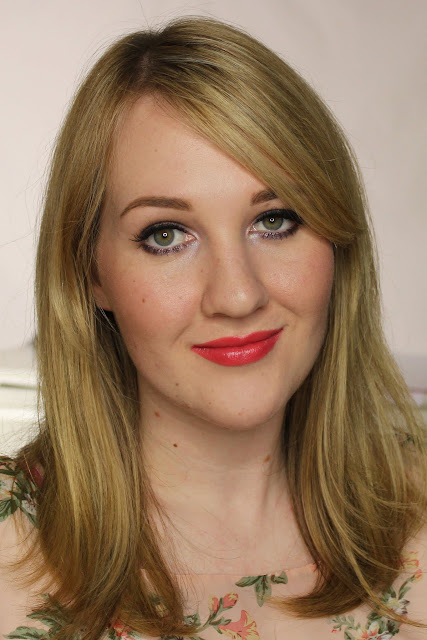 MAC lipsticks come in a variety of finishes and the pigmented and opaque ones are pretty well represented in this collection with a mixture of mattes (yussss), Cremesheen, Cremesheen + Pearl and a lone Amplified. No shy, sheer Lustres and Glazes to be found (but if you are missing your sheers, the Cremesheen Glasses have you covered). Wear time varies across the different finishes and they have a vanilla scent. Flocking Fabulous has a wonderfully tongue in cheek name - I have an aunt who would get such a tickle out of it! 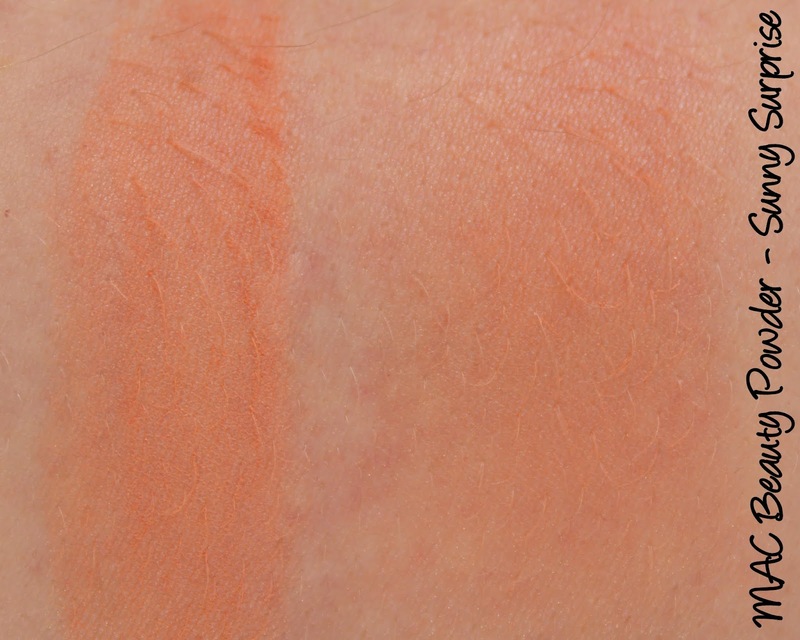 It's described as a 'bright coral-red' with Cremesheen + Pearl finish and has impressive colour pay off. The pearl addition gives it a very fine, subtle sheen, more luminosity than true shimmer. Flocking Fabulous wore for four and half hours on me and was hydrating during wear. MAC always do corals exceptionally well, so it's no surprise that I love this. 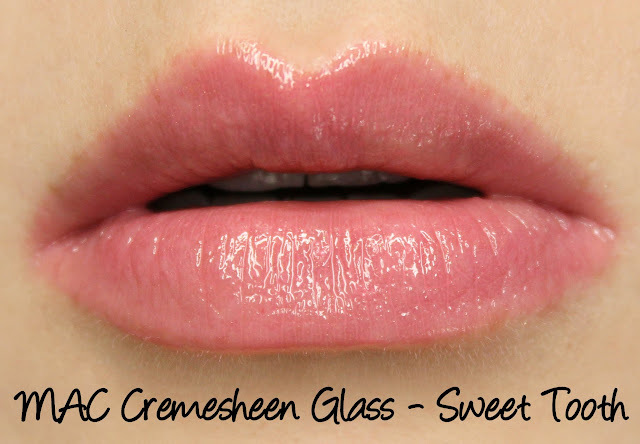 Cremesheen Glasses (RRP $48NZD) are great for a sheer wash of colour or for layering. They lack the tackiness of MAC's regular Lipglass formula so they don't last quite as long but the lack of stickiness can be a welcome trade off for some. Like most of MAC's lip products, they have a vanilla scent. 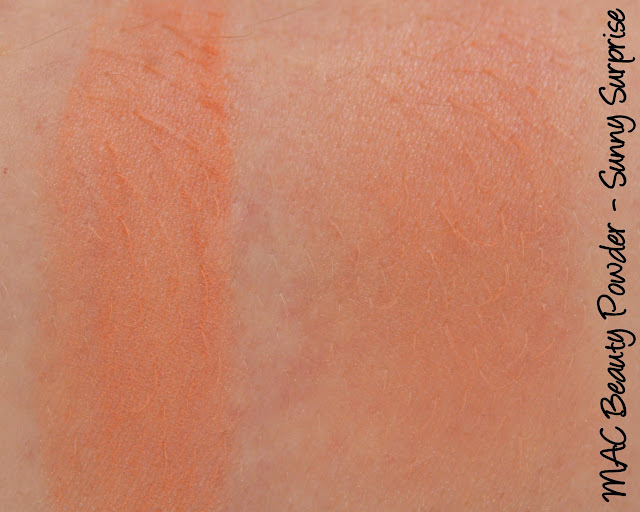 Sweet Tooth is described as a 'warm mid-tone pink' and has fine shimmer running through it. 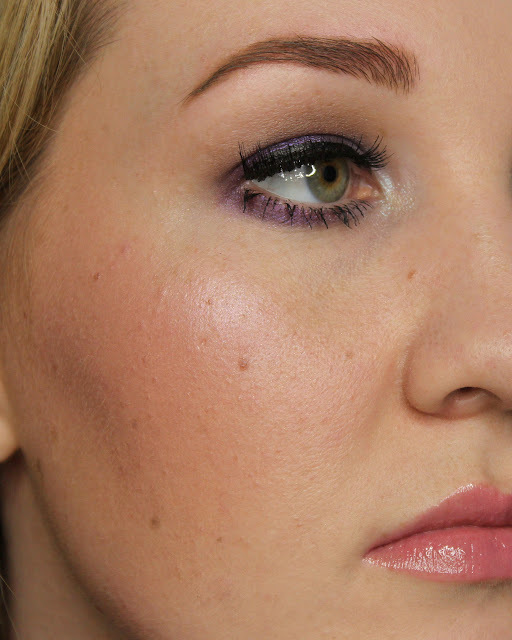 The coverage is semi-opaque but even, with a small amount of settling into lip lines occurring. It lasted just over two and a half hours on me and was very hydrating. MAC Beauty Powders (RRP $48NZD) are multi use products that can be used as highlighters, blushes, bronzers or setting powders depending on their finish and your own skin tone. They generally have a lovely silky texture, thinner than the blush formula and come in a large mirrored compact, so you get good value for money. Sunny Surprise is described as a soft peach. It has a smooth satin finish with very fine shimmer and even, buildable colour pay off. It's not intensely pigmented so there's no sudden horror at having it apply far more boldly than you thought it would, the tradeoff is that it may not show up well on darker skintones. Sunny Surprise wore for about seven hours but was looking pretty faded at that point. 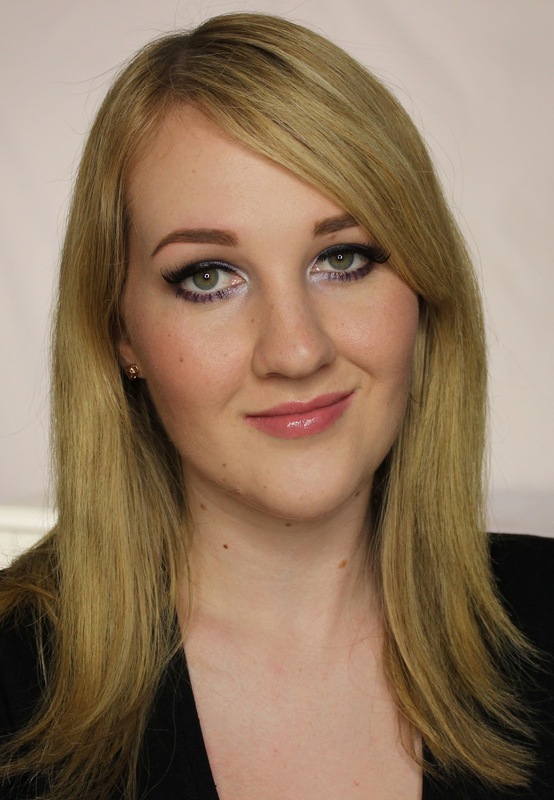 Here I'm wearing Sunny Surprise as a blush, with Notoriously Morbid My Beloved highlighter, Essence Sun Club Matt Bronzing Powder, and the Makeup Revolution contour palette. I've also used Sweet Tooth Cremesheen Glass on the lips. Have you spotted Flamingo Park on counter? Picked anything up? I'd love to hear about it!